The itinerary includes a visit to Engyoji, a very popular sightseeing spot for the shooting of the blockbuster Hollywood movie 'The Last Samurai, followed by Himeji Castle, the Japan’s first world cultural heritage site, and Koko-en, nine separate gardens of samurai houses that show the essence of the Edo period There you can enjoy a genuinely tranquil atmosphere overflowing with greenery and beautiful flowers of each season, an authentic tea ceremonｙ, the atmosphere of the Edo period, and spectacular views of Himeji Castle. The special feature of this tour is an illuminating lecture on Zen Buddhism by Ichy Ueda, a master of Zen mind and Last Samurai in English education, who will enlighten you about Zen mind and the Japanese spirit. The participants will be also initiated into the mysteries of Zazen, calligraphy, and sutra chanting. You can never miss this one-in-a-million chance to enjoy the essence of Japanese culture! 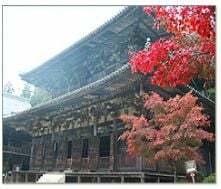 Engyoji is one of the most prestigious Tendai sect temples in Japan founded by Shoku Shonin in 966. Dubbed 'Mt. Hiei Enryakuji Temple of the west', this temple attracts many pilgrims and tourists from all over the country throughout the year. The precincts have magnificent buildings including Maniden Temple and Daikodo Lecture Hall as well as a genuinely tranquil atmosphere overflowing with greenery and beautiful flowers of each season. Recently, this temple has become a very popular sightseeing spot for the shooting of the blockbuster Hollywood movie 'The Last Samurai'. It’s definitely worth visiting! 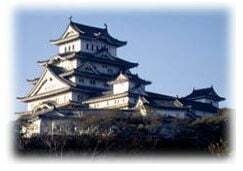 Himeji Castle was registered as the Japan’s first World Cultural Heritage by UNESCO in 1993. Representative of all the castles in Japan, it enjoys the highest international reputation of all the existing castles in Japan. Its architectural wonders include spectacular White Heron Castle, exquisite devices for a fortress, and its well-preserved castle buildings in the inner citadel. This renowned castle has a history of 400 years as a precious world heritage to be handed down to future generations! Himeji Koko-en is a magnificent scenic spot located just west of Himeji Castle. This garden was constructed in 1992 to commemorate the 100th anniversary of the founding of Himeji municipality. It is composed of nine separate gardens created in the former site of the Lord's West Residence and other samurai houses, and thus all of them show the essence of the Edo period. Among them are Oyasiki-no-niwa, the garden of the lord's house, Cha-no-niwa, the garden of tea with an elaborate tea house, Nagaya-Gate　with the atmosphere of the Edo period, and Nagare-no-hiraniwa with spectacular views of the main keep and the West Bailey of Himeji Castle. Srolling through the gardens, you can fully enjoy beautiful trees and flowers of four seasons, the rapids and waterfalls, and covered walkways built of Japanese cypress! ©2019 Aquaries School of Communication.